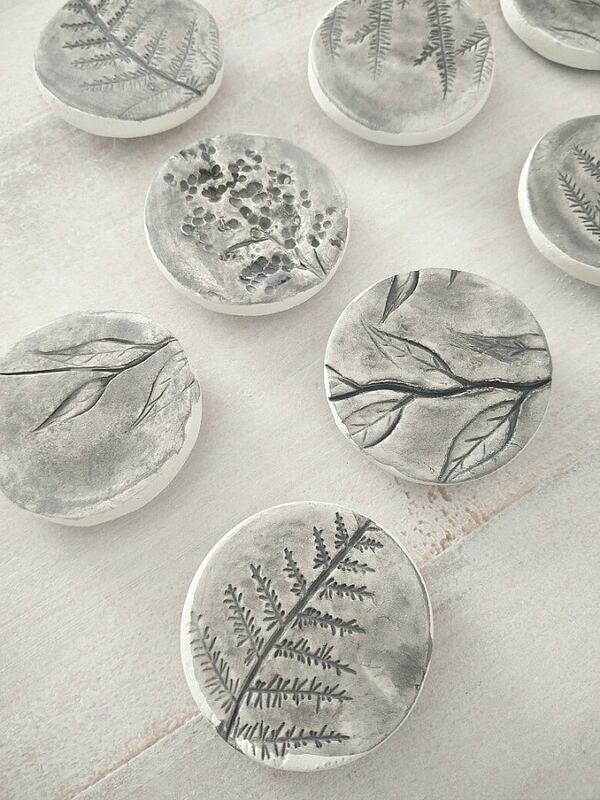 I absolutely love the versatility of clay. 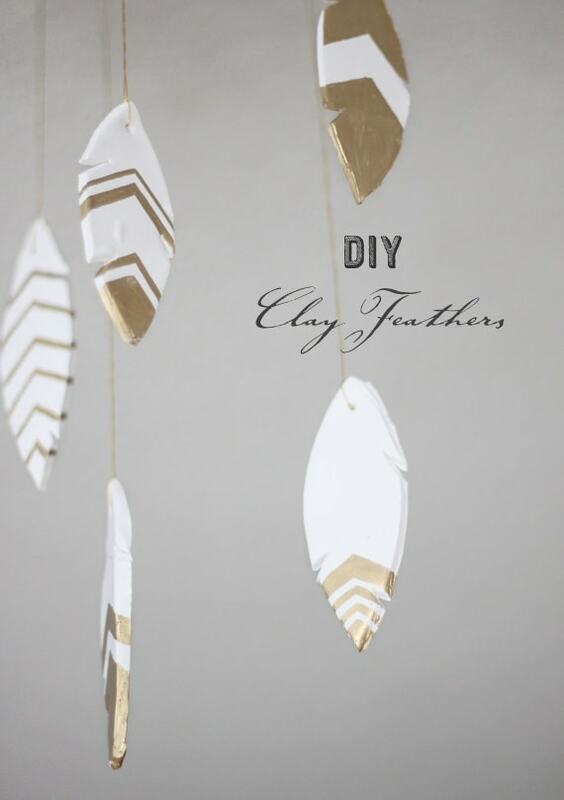 If you are looking for some inspiration to do air dry clay projects, look no further. 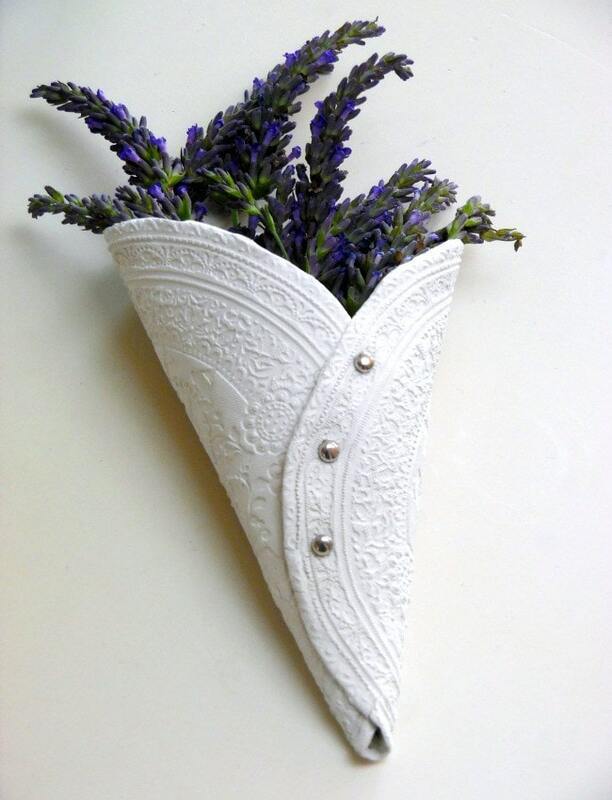 I really hope that after seeing these easy DIY clay projects, you will make an effort to buy some air dry clay and create something. Sometimes I wonder what awesome gifts I can make for family and friends. But I think I have found it! 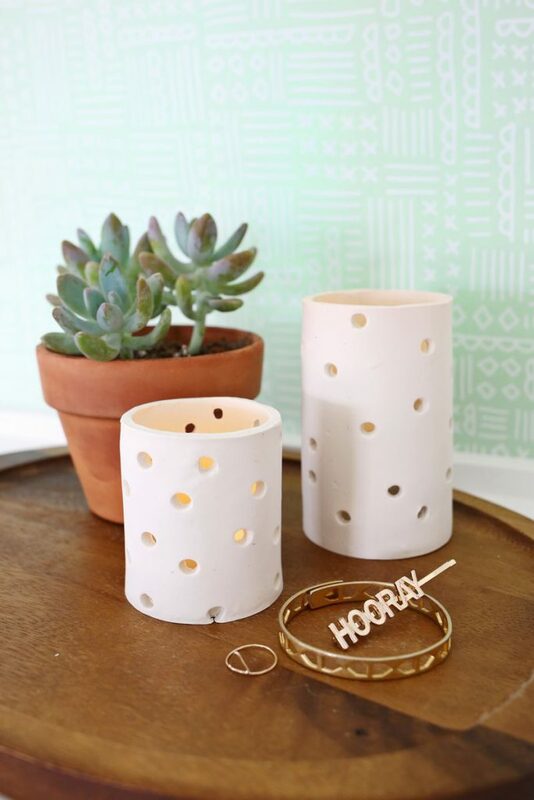 Air dry clay projects are so easy and you can really be creative. It is truly the perfect handmade gift. What can be more satisfying than sculpting something out of polymers clay and giving it as a gift to someone? It really is priceless. 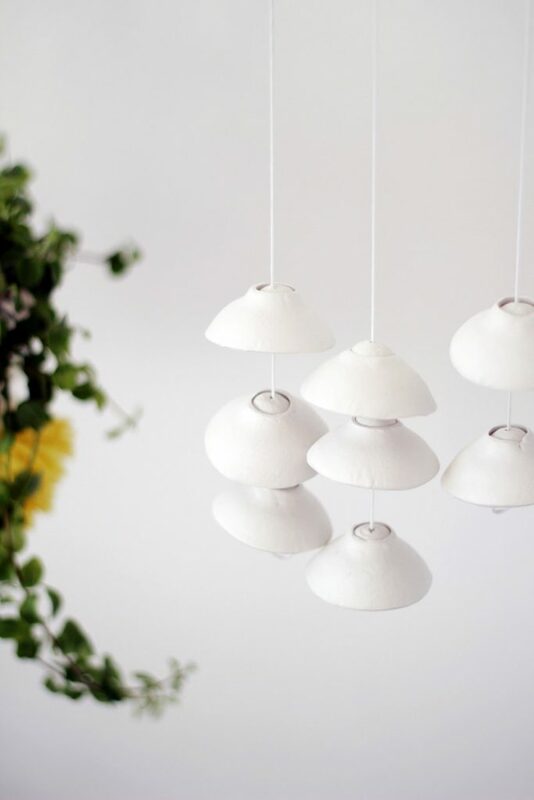 You can even start a little side hustle and create air dry clay projects to sell at crafters markets, Community Fairs or even maybe online. There are lots of stamps and accessories available these days to simplify the process and add that special touch to your piece. This will make such a lovely gift to a loved one. Mabe a jewelry holder on a dresser? You can also experiment with different colors. Make the perfect little holder for spring cuttings from the garden to let in the fresh flowery notes of Spring! You can even consider this as a Mothers day gift. This is an awesome project to do on a weekend. You can even involve the kids. Another cutie, keep your rings safe and in reach. 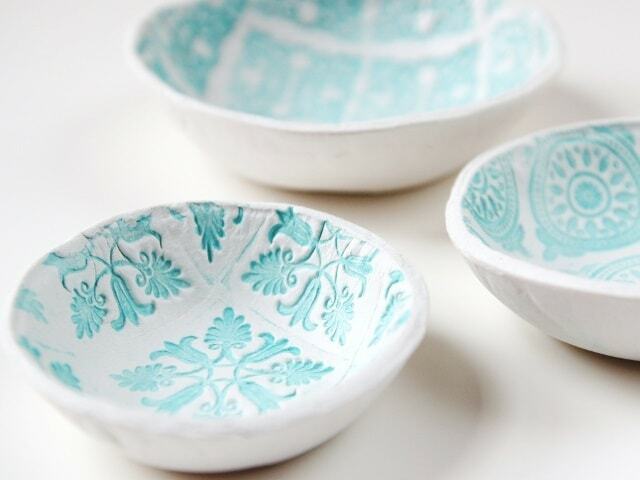 These bowls are a steal for sure! The look really dainty. Perfect as a gift. The tutorial provides clear and easy instructions to follow. 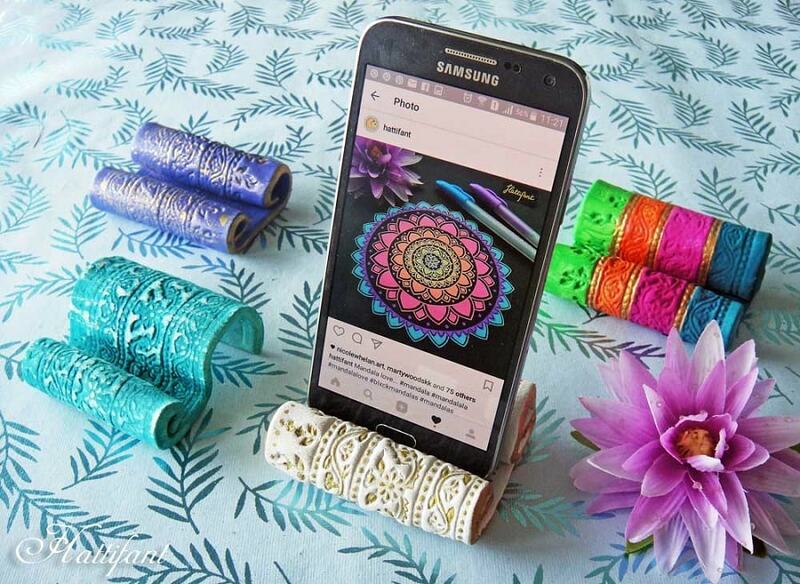 Just click the link beneath the picture to make your own clay circle garland. 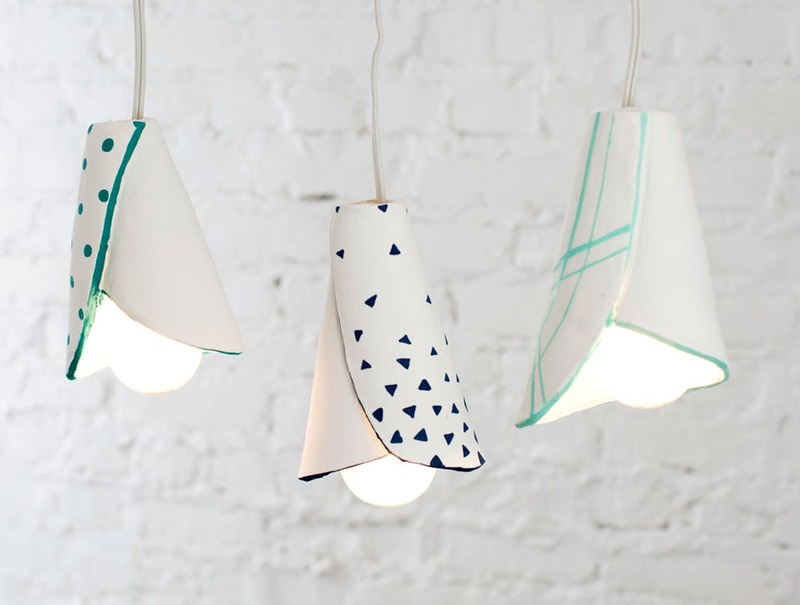 These clay pendant cone lamps are so stunning and easy to make. Give it a try because I think it would make an excellent gift. 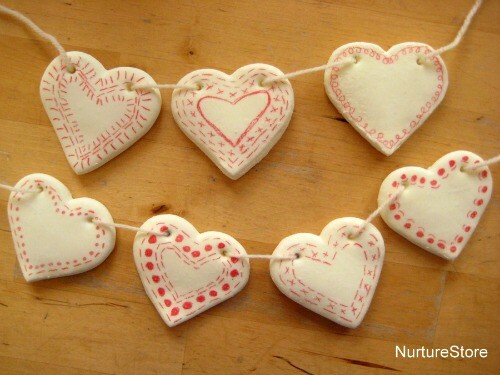 Air dry clay was used to make lovely wind charm. So pleasing and simple on the eye! It will so do make a lovely unexpected gift. 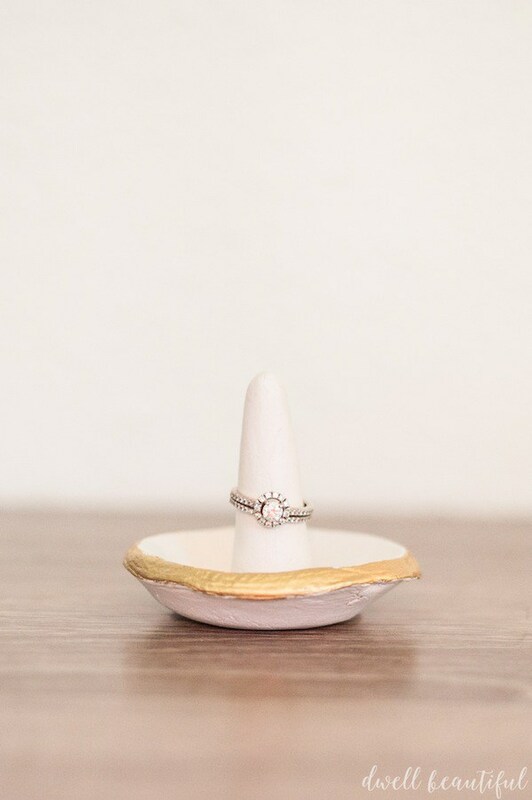 These tea light covers were made with oven-baked clay, but they are so cute, that I couldn’t resist not putting them here. Now, this is so dainty and eye-catching. It is so pretty that you won’t be able to give it away. For a pop of color, you can experiment with different colors. 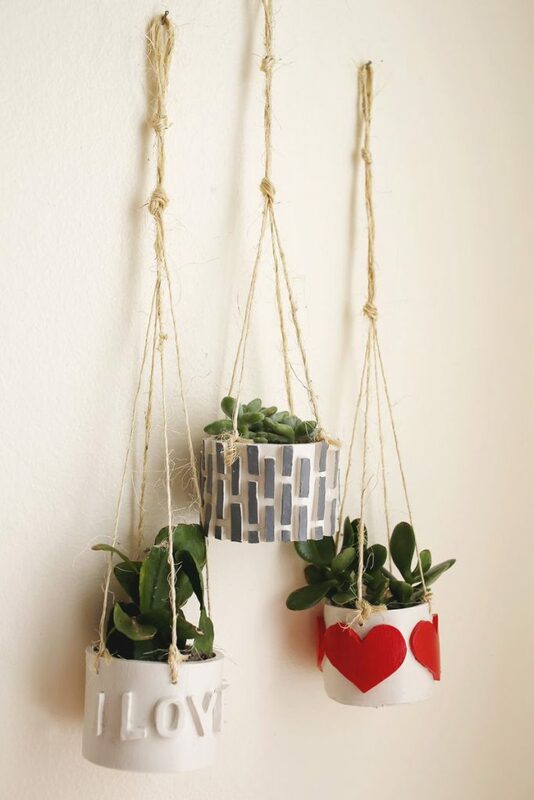 You can customize these mini planters to your liking. With all the different stamps and colorants it is really easy to make something quite unique. 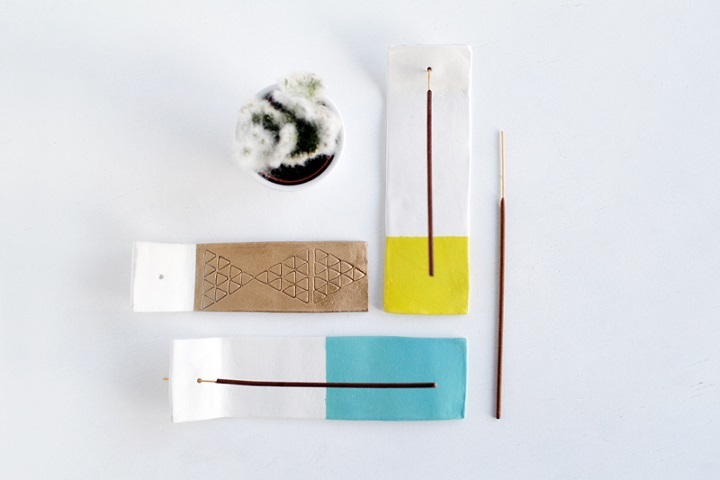 With just a few craft items and air dry clay, you can produce these lovely incense holders. It would make a stunning gift, I think. Good old bunting! 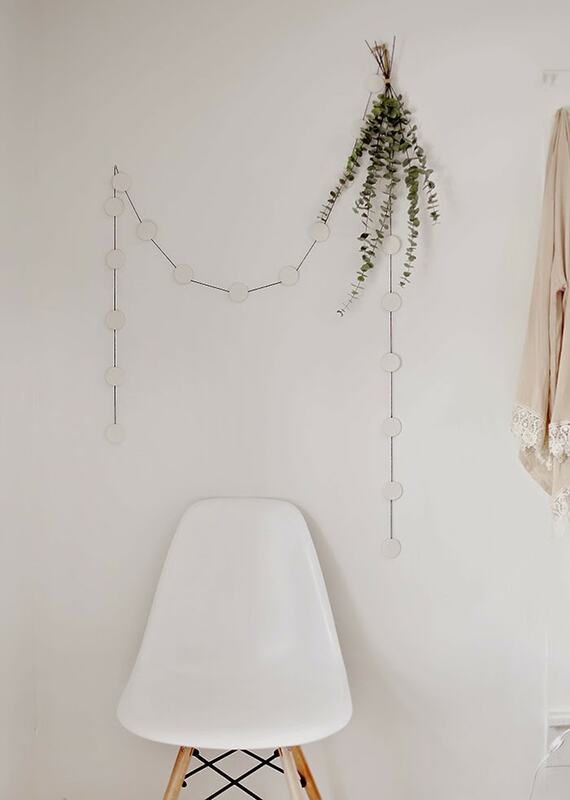 Liven up any space with these lovelies. Use different colors and motifs, it is actually very cute! 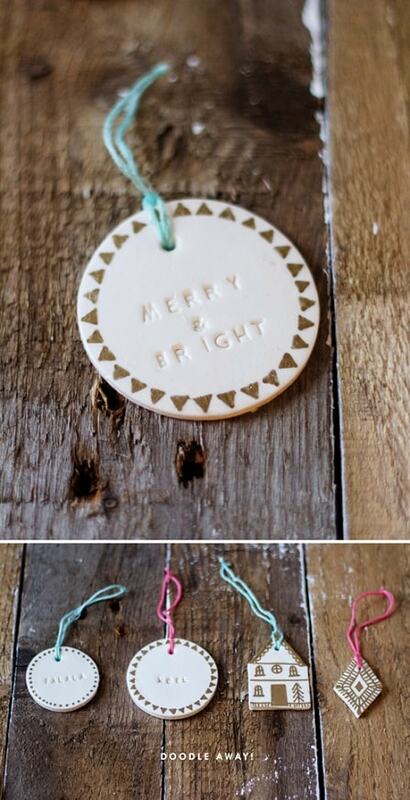 Make these decorations to hang on doorknobs, as keyrings or to adorn presents. I am going to attempt this for myself. Really functional piece. 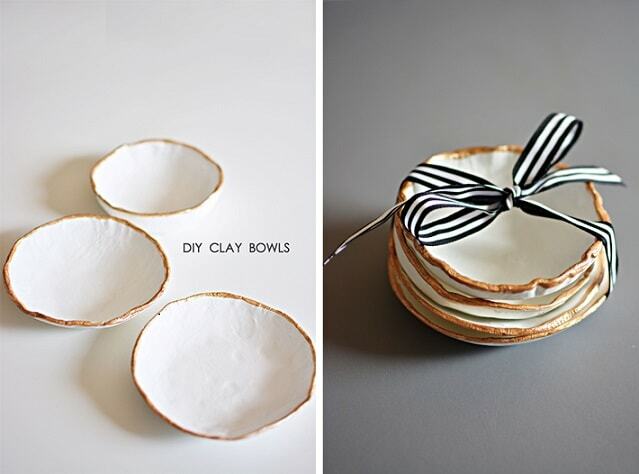 I really hope this guide of DIY Air Dry Clay Projects inspired you to start creating your own air dry clay crafts! Let me know if you have any suggestions or tips in the comments below. 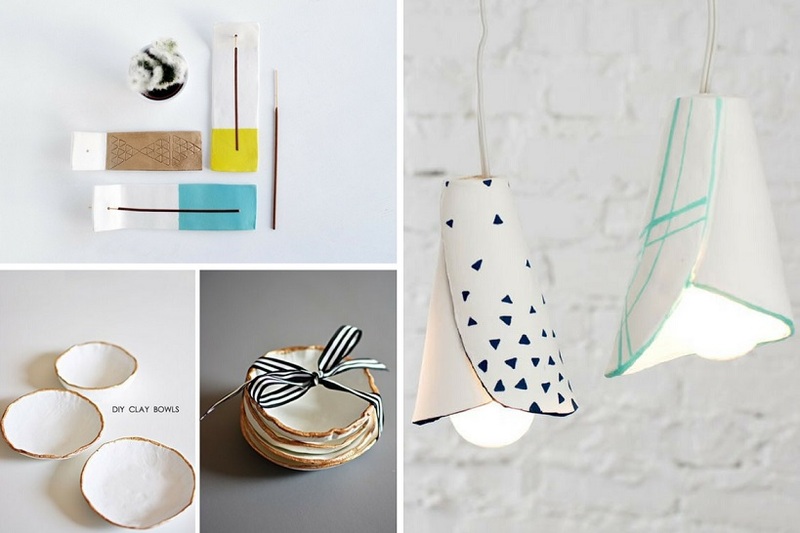 Loved these DIY Air Dry Clay Projects? Pin it for later! If you enjoyed this roundup of DIY air dry clay projects, please pin it to your DIY board on Pinterest! Hi Emma, thanks, they are so beautiful! I love them!